So, I had these photo's stored away in my "Things I want to blog about" file, and although I feel a little late to the party blogging about LFW when that was "so yesterday", I still wanted to share these photos with you. I went along with Zoe (The London Lipgloss) and Lily (What I Heart Today) to get their makeup done by the mac artists at London Fashion Week. I had tried to book one myself, but all the slots had been fully booked on the first day (obviously). 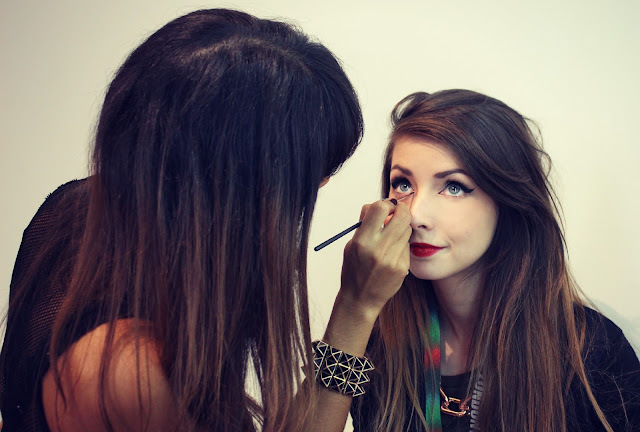 I enjoyed watching the girls get their makeup done, and took some snaps for them so they could blog about it etc. Once the lovely girl doing Lily's makeup had finished, she asked me if I'd like a little "touch up", being a typical polite and reserved english girl, I half said "Oh nooo, not to worry! You don't have time before your next slot", but Lily insisted (she knew deep down I was screaming out for a free makeover haha). I sat down in the chair and she worked her magic. She touched up my lipstick with mac's cherry lipliner and russian red lipstick and created a really cool cat eye with blacktrack fluidline. I totally wish I could do that to my own eyes, but I know i'd fail miserably. 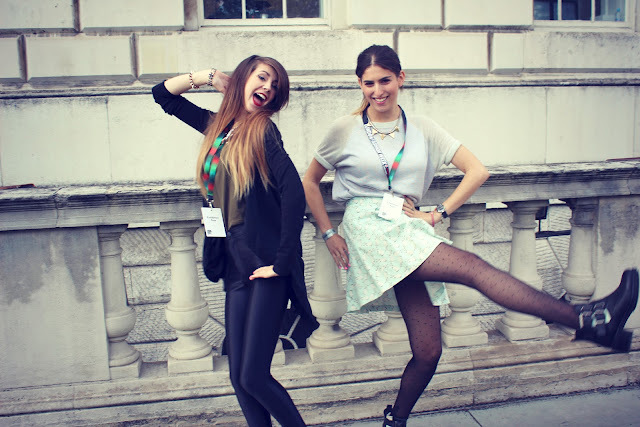 I also have some snaps of Lily and I doing some awful LFW posing. 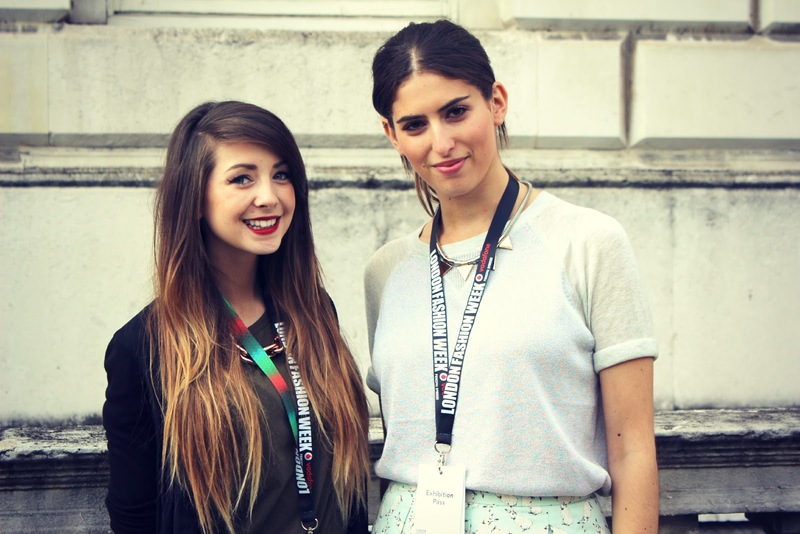 "How NOT to pose outside Somerset House"...? Do you ever experiment a little more with your eyeliner? I had never thought something like that could actually be quite wearable but I would totally wear this on a day to day basis! Would you?